We help you build a better SaaS company, faster. Get the strategic direction, outside perspective, and ongoing support you need to grow. With 20+ combined years of professional marketing experience, and 15+ combined years of SaaS experience (from pre-launch, to scaling a marketing team from 1 to 35 employees) we complement your subject matter expertise with the customer development, messaging & positioning, marketing & growth strategy, and scaling expertise needed to help your company reach its next phase of growth. No more spinning your wheels, trying to tackle a major challenge all on your own. No more pulling your hair out over which projects to prioritize, or how to execute. We provide the support, strategic direction, and outside perspective you need to generate outsize results for your company. "Working with Gia over the course of 9 months I feel like I’ve received a fast-tracked masters in marketing." Georgiana has been working with SaaS companies like Unbounce, Appcues and Sprout Social since 2009. She’s been launching and building B2B and B2C brands online since Y2K was a thing. In three years, she built a team that grew revenue 900% and 14th on the Deloitte Fast50, without any major funding. Having scaled marketing teams from a founder run blog to 35 strong, she loves helping ambitious managers grow into great leaders, and empowering teams to build high-impact, cross-functional solutions for growth. Claire helps B2B and B2C SaaS companies like Wistia, FullStory, Edgar, and Death to the Stock Photo get out of the "echo chamber" and inside their best customers' heads. 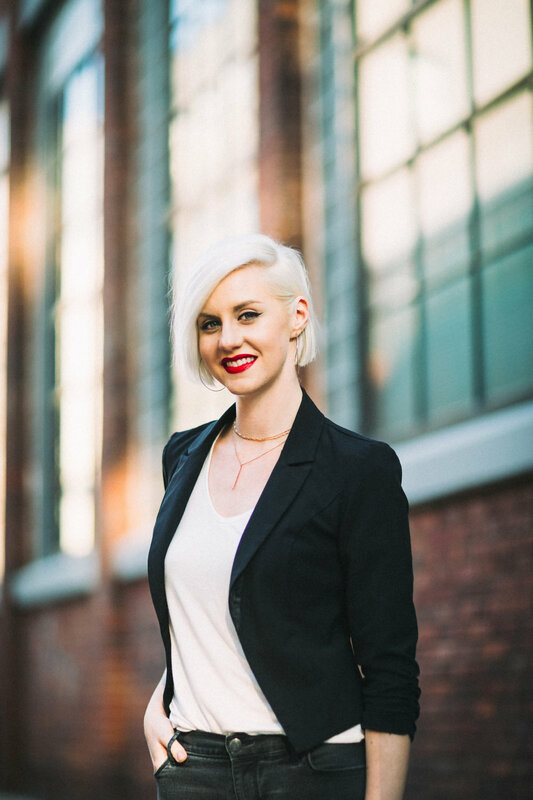 She's spoken internationally about the impact of customer research, and her methods have generated record-breaking email open rates, click-through rates, and new user signups. She loves helping teams develop greater empathy for their customers, and find marketing messages that create stronger connections (aka: higher conversions). I hired Gia because I know how to build great products, but I know very little about great marketing. We were launching a new product and we needed expert help. Gia came on and organized all the work to be done including positioning, messaging, customer onboarding and journey development. It's with her guidance and efforts that we could ensure that our time as an organization was being spent wisely on marketing and onboarding. If you have a full-time marketing person on board who needs strategic guidance, Gia is a very senior talented (and awesome person) to lead your efforts. Hire her if you can. "Instrumental in helping me get the information we needed." Our Head of Product & I hired Claire to train me on conducting Jobs To Be Done customer interviews. This way, we'd have the skillset in-house for the future, even after the project was done. Claire has been instrumental in helping me get the information we need about our customers’ buying process. She was also helpful in situations where calls did not go as planned, and was still able to use those as teaching moments. If she hadn't been there to help, I would have walked away feeling discouraged. If we’d conducted the interviews on our own, we would have had no idea whether we were getting the key details we needed. Receiving coaching and feedback from Claire gave me confidence to ask follow-up questions, keep conversations on track, and feel certain I’m getting the right information. Thanks, Claire!